It probably goes without saying, but the world is a very different place now. General Motors has gotten into the pure electric game with the Chevy Bolt and Tesla is leading the game with fully electric cars. 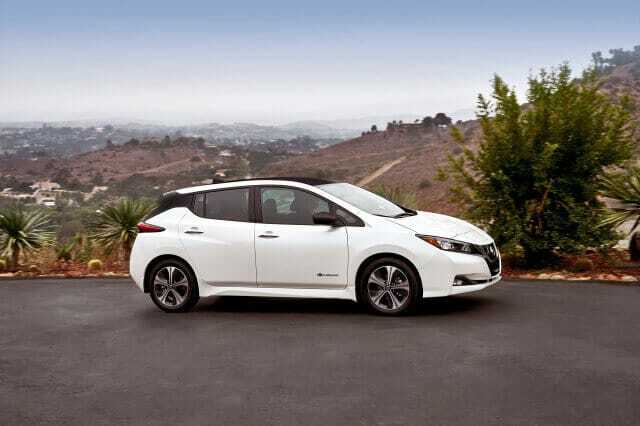 Then comes Nissan with their Leaf. The Leaf needs to adapt to survive in a changing market. 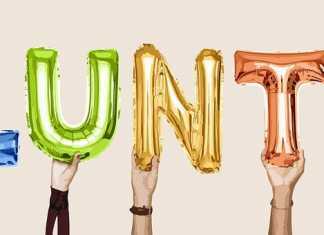 And for 2018, it looks like it has. Nissan has finally pulled the wraps off of its second-generation electric car, and it looks like it’s suited to stay competitive well into the future. But how good is it? Does it have what it takes to beat the Bolt and the upcoming Tesla Model 3 at its own game? Here’s everything we know about the new Leaf. In 2010, the current Leaf started at around 3,400,000/= before tax credits. Granted, that price has lowered to just under 3,100,000/= as the car has aged. But the new model will still start at below that 3,100,000 mark before tax credits. Why? Because Nissan is eager to field a competitive electric car for less than its two more visible rivals, namely the Tesla Model 3 and Chevy Bolt. A big part of what made Nissan focus on keeping costs down is the company’s effort on de-stigmatizing the Leaf. 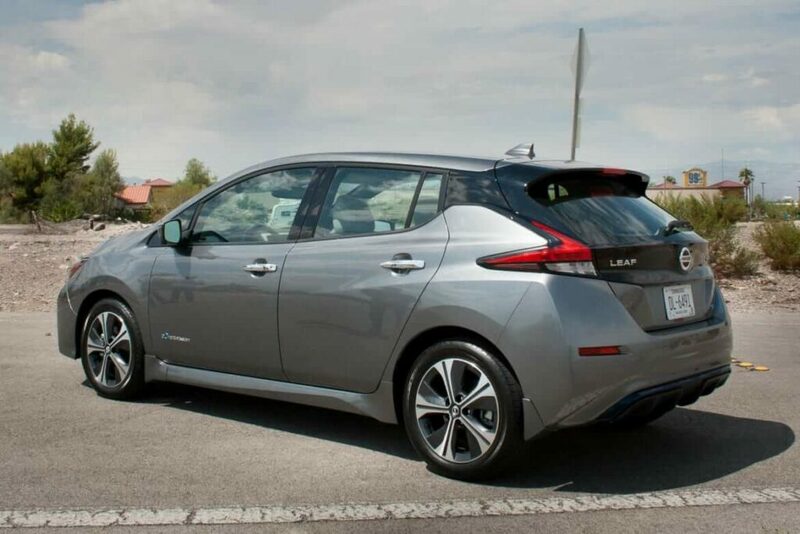 With a sticker price in the low-3M, the EV falls below the average cost of a typical new car. And again, that’s before tax credits. So don’t think of it as an EV. Think of it as an average five-door hatch. Get ready for the e-Pedal, It could introduce a new way to drive. 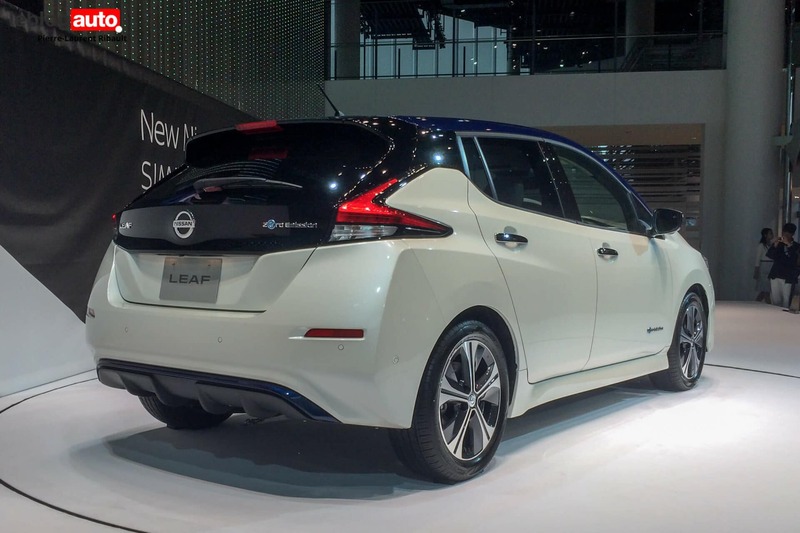 Despite Nissan’s “average car” posturing, the automaker claims that the new Leaf could revolutionize the way people drive. Thanks to its e-Pedal accelerator, you can now drive virtually anywhere with just one pedal. Switch the function on, push the accelerator, and your car goes. Let off of it, and the regenerative brakes kick in, recharging the batteries while you come to a stop. It might take some getting used to, but we like this idea for EVs — especially if these stronger regenerative brakes mean greater charging power. It’s incredibly advanced for its price point. 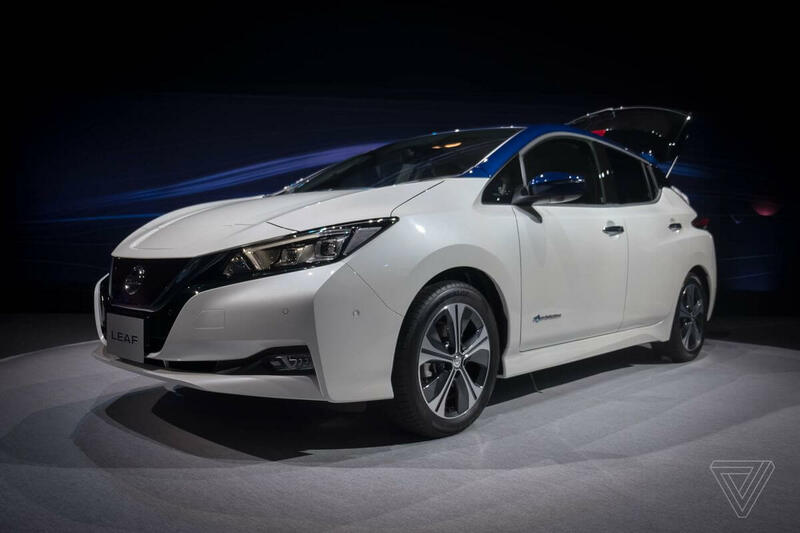 On top of the e-Pedal, Nissan is also offering its ProPilot Assist system in the Leaf. Like a simpler version of Tesla’s Autopilot, ProPilot utilizes four cameras, 12 sensors, and front wave radar to control speed, following distance, and stopping. 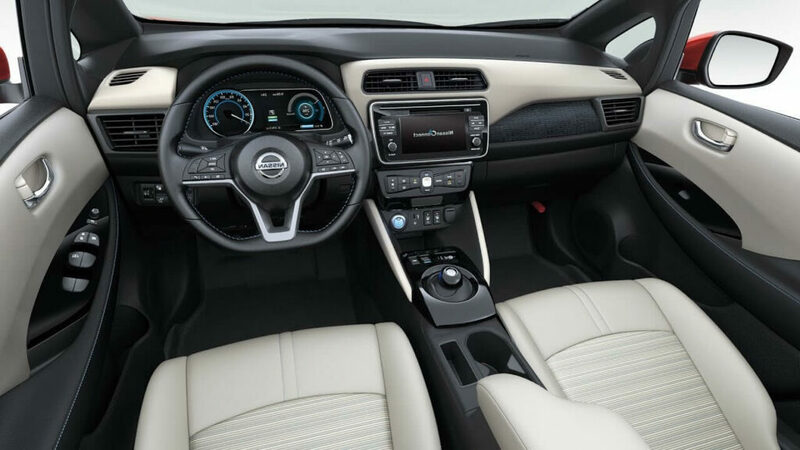 You can’t quite take your hands off the wheel yet, but Nissan’s tech should make the Leaf about as close as you can get to autonomous driving in the 3,000,000 range. When ProPilot Assist isn’t being put to use on the highway, drivers will be able to use it to let their Leafs park themselves. As ProPilot Park, the system can scan a parking lot for empty spaces and pull in and out by itself. Inside, the new Leaf looks more like a modern five-passenger hatchback, too, albeit a modern one. There are still swaths of hard plastic and plenty of empty spaces, but it’s handsomely designed and looks modern without telegraphing that it’s an electric car. In other words, it’s the perfect EV for buyers who don’t want to telegraph that they’ve bought an EV.